VEGAN Black Metal Chef may sound like an Iron Maiden tribute band but it is actually one of YouTube's most successful and entertaining cookery channels. The recipes are made to the sounds of… yes you guessed it… black metal music, which is a ferocious subgenre of heavy metal. Recipes are filmed in a kitchen that looks like a dungeon and watched by three and a half million people. Who knew the world had so many black metal food-lovers? Or that many vegans. Although it is unlikely to be commissioned by the Food Network, Vegan Black Metal Chef brilliantly demonstrates not only the power of niche programming, but how food is drawing some of YouTube's biggest audiences. YouTube has 800 million viewers and they all need to eat. Andy Taylor, founder of newly launched YouTube production company Little Dot Studios, says: "Food's very visual so it works well on screen, but a lot of TV food programming is less about the recipe and more about entertainment. "YouTube allows viewers to explore their own interests. If you want a video on how to cook the world's crunchiest onion rings, not only will you find it, but you'll also find tips from others who have cooked that exact recipe. It's immediate. It's interactive. It's the future." Delia Smith agrees. Last month she announced she was abandoning the small screen, for the even smaller one of the nation's computers and tablets. She has set up an on-line cookery school on her website. Not because she couldn't get a new TV series - the BBC is reported to have asked her - but because she is tired of cookery shows being more focused on entertainment than good old-fashioned recipes. Delia says: "When I started, there was further education at the BBC; now you have to entertain." The campaign for an on-screen collaboration between Delia and Black Metal Vegan Chef starts here. So has YouTube killed the TV chef? Well, food is one of YouTube's most popular video streams and it is looking to expand its curated culinary collection. It is trying to make the transition from a hotchpotch of viral videos to more ordered content. 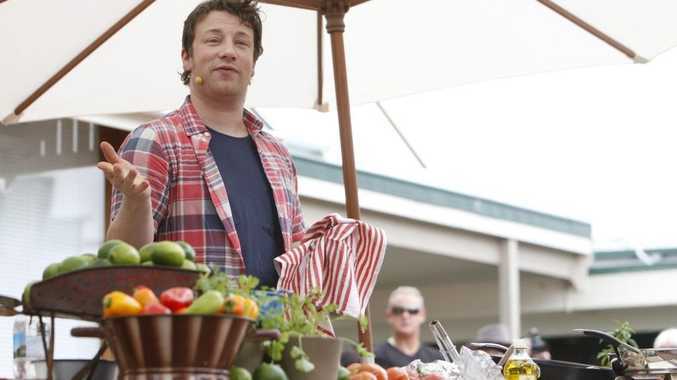 Last year it launched 100 original channels, one of which is hosted by Jamie Oliver. Gordon Ramsay was quicker off the mark and his long-established channel has a loyal following. Even the best cookbook library cannot undermine the speed and sheer breadth of the internet. Cooks curious about a particular technique can click through YouTube archives and be walked through making choux pastry, a hollandaise sauce or a castle-shaped children's birthday cake. Most viewers watch the video first, follow the written recipe underneath and then rewind and pause to watch the tricky bits again. Another advantage of watching recipes online is mobility. For example, if you are following a recipe from the BBQ Pit Boys on fire-roasting sweet potatoes, you can watch it on your phone in the back garden, tongs in hand, charcoal smouldering. It may be a scary thought for traditional media, but the internet is not just full of amateurs. Big players are increasingly after a piece of digital pie. For example, in the States, Bruce Seidel was a senior executive at both the Food Network and Cooking Channel, but now heads up the Hungry YouTube channel - it has 73,000 subscribers and nearly 5 million views. In the UK the Sorted boys have been posting recipe videos since May 2010, which makes them pioneers of the British YouTube food community. Even Jamie's FoodTube channel trails behind, with 184,000 subscribers to their 258,000 - most of them young women. Jamie Stafford, one of the five good-looking co-founders, thinks the medium is about to explode. He says: "People get YouTube now in a way they didn't, say even six months ago. They understand it's different from, not inferior to, TV. Food is definitely growing." At this juncture, I must confess an interest. I want cookery shows on YouTube to succeed. That is because I have a YouTube cookery channel - called crumbsfood - that I run with my sister Claire as a spin off of our blog of the same name. We are both journalists and mums and our "niche" is easy, quick recipes that are full of shortcuts. The irony is that filming time-saving recipes for busy parents to follow, makes us even busier and only capable of feeding our own children takeaways. A love of eating inspired us to start our family food blog crumbsfood.co.uk three years ago. We were both busy mothers with young children who no longer had the time to cook gourmet food. It was a place for us to share ideas and recipes that were tasty to eat, but fast to make. It hit a nerve and no one was more surprised than us when we started to be featured in the best food blog round-ups. So when Little Dot Studios offered us the chance to make some beautifully-produced films of us cooking our favourite family recipes we jumped at it. We have now posted 50 videos and have nearly 5000 subscribers, including lots of regulars who always (well, nearly) write nice things about us in the comment sections. Nonetheless it is the most enjoyable part of my working life (although, alas to date the least lucrative) not only because I love hanging out with my sister, but because it genuinely feels we are on the cusp of the YouTube revolution. YouTube used to be about videos, but now it is about channels that viewers subscribe to for free. Unlimited broadband width means there is more shelf space for more channels. Taylor left the UK's biggest TV production company, All3Media, to start Little Dot Studios - a sign of how seriously the industry is taking things. He says: "This is the next wave of programme watching. We had three TV channels, then four, then 20 and now people take for granted the hundreds of channels out there. "So niche programming on YouTube is about to take off even more, especially when people start streaming what they watch on their computer through their TV." Research by Cisco - the computer networking company - predicts that by 2017 video will make up two thirds of online traffic. At the end of 2012 it was half. There are many weird and wonderful cookery shows on YouTube. Free from traditional broadcast constraints, programming and presenters are often a little kookier. For example, there is a Japanese channel Cooking with Dog. Calm down, the dog is not an ingredient, but an observer. Still, it is strangely hypnotic and needs to be watched to be believed. The YouTube audience is broad and each channel has its own demographic. The audience of 20-year-old Rafael Gomes's channel - ItsRaphaBlueberry - is mostly teenage girls and the Portuguese-born, London-living student hopes he is inspiring the next generation of cooks. He says: "YouTube is more fun to watch than reading a recipe and it's more interactive than watching a professional chef on TV. YouTube cookery channels will eventually replace TV. "Chefs like Jamie Oliver are trying to get on board, as they know if you're looking for recipe you are more likely to browse the internet than look at the TV guide." Sara O'Donnell of cult LA food channel, Average Betty, agrees. She says: "I think food works so well on YouTube because viewers can learn a recipe in 5 minutes compared to the traditional TV half hour. I also think people really feel like they are coming into my kitchen. That they are hanging out with me." Normal TV is not interactive - even when used alongside Twitter. If, when watching The Great British Bake Off, you are unsure about substituting wholemeal with plain flour, odds are Mary Bell won't get straight back to you with an answer. But with YouTube it is a two-way conversation. There is a much tighter connection between viewer and presenter. Post a comment under a video and if the presenter doesn't answer it, someone else in the community will. Feedback is instantaneous and the success of a recipe can be tracked by both number of views and thumbs up. One of crumbsfood's most popular YouTube recipes is our five-minute chocolate cake in a cup. Guess what Sorted and ItsRaphaBlueberry's are too? Yup, cake in a cup. So, rest assured that although the medium is changing, our love affair with chocolate remains a constant.